We believe nourishing your child’s body is just as important as nourishing their minds. We are proud to provide lunches catered by Kevin Loida, owner of the Natural Fact Restaurant which was located in Webster Groves. Our lunches provide a child-friendly menu, combining great taste with all-natural ingredients! Lunch is included in tuition. Please see our menu below. We feel lunch time should be relaxed and enjoyable. Our lunch is served ‘family style’ with children sitting together at tables. 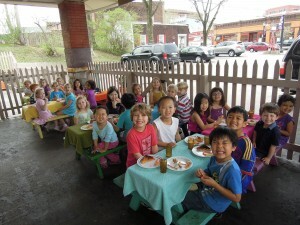 The children use real plates, glassware, silverware, table cloths, and napkins. 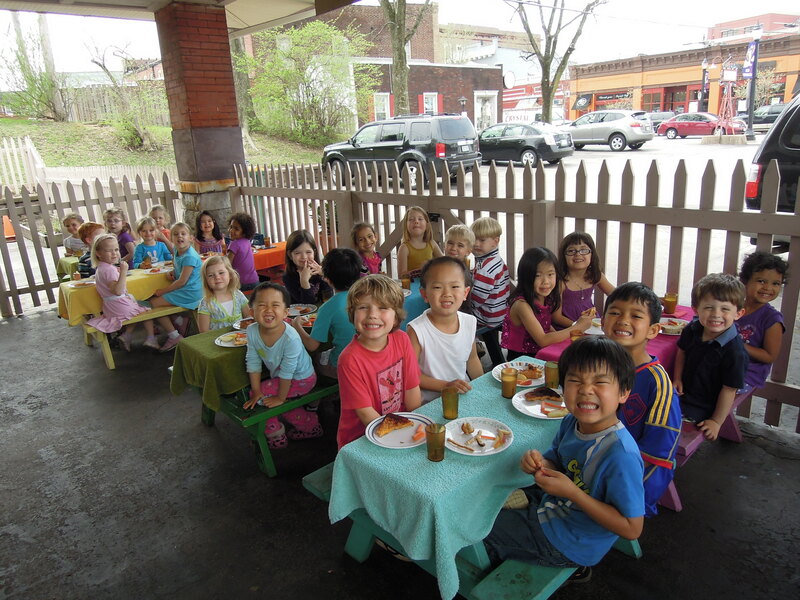 This setting aids the children in learning proper meal time etiquette. On nice days, we enjoy the downtown Webster atmosphere and dine outside on our custom-made picnic tables. Along with each main dish, we provide fresh vegetables, fresh fruit, and hormone-free 2 % milk from Oberweis Dairy. 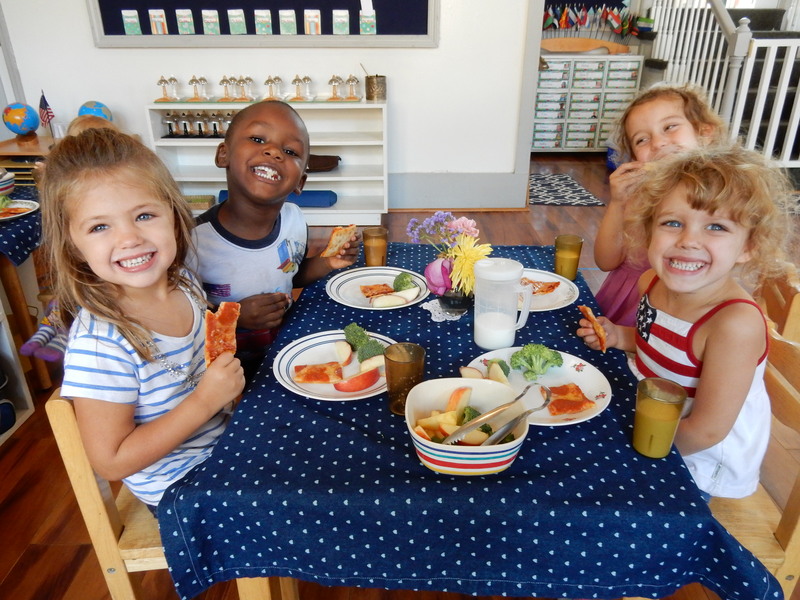 The children are introduced to many different types of fruits and vegetables including cucumbers, kale, spinach, green peppers, carrots, celery, apples, oranges, pineapple, melons, bananas, blueberries, blackberries, raspberries, and other interesting choices. Snack is served twice daily and includes a fresh fruit or vegetable. Examples include yogurt with granola, whole grain crackers and cheese, seed medley, rice rolls, and granola bars. Snack is available throughout the morning for children to enjoy with one another at a table. Afternoon snack is served immediately following naptime.